Pages without hyperlinks are under construction. Not many pilots routinely train to land a heavily-loaded, unarmored aircraft with no power plant into landing zones often traversed by massed hostile firepower. 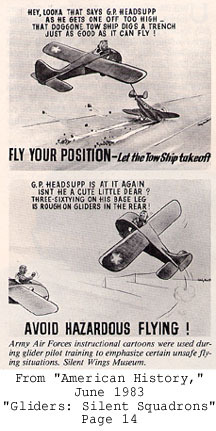 Combat Gliders, unlike recreational soaring gliders, could not gain altitude once the pilot released the tow line. They could only descend. Once a pilot committed to a landing and discovered, as he got closer, that the landing zone was under fire, mined, or otherwise obstructed, he had little room to maneuver to make a safe landing. 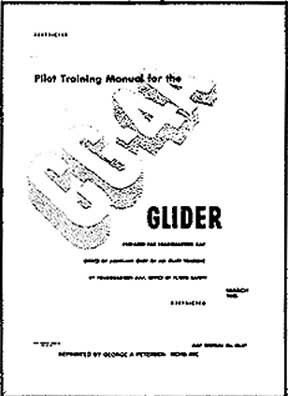 Cover of the training manual for the CG-4A. An original manual can be seen at the Silent Wings Museum at Lubbock International Airport, Texas. (Courtesy Silent Wings Museum). Surviving Glider Pilots describe one German method of mining likely glider landing zones. They nicknamed the technique "Rommel's Asparagus." The Germans placed Teller Mines atop poles in fields that were likely glider landing zones. Often, these mines were wired together across many acres. Once a glider hit one, many others were also detonated often creating a 360 degree ring of exploding mines around a landing glider. How not to follow a tow plane. An ideal glider landing - Something the Glider Pilots trained to execute under combat conditions. The aftermath of a the kind of actual combat landing many Glider Pilots experienced. Any cargo or troops in this glider could easily have shifted forward and injured or killed the pilots. 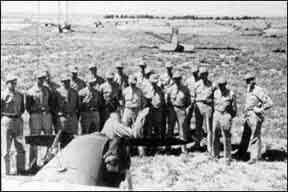 Many pilots and glider infantry went through and survived murderous anti-aircraft fire enroute to their landing zones only to be wounded or killed in the landing. 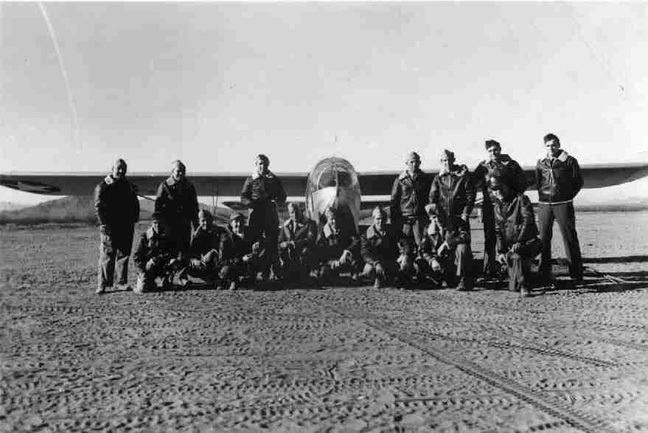 Glider Pilot training was unable to adequately simulate these conditions and many pilots learned how treacherous a combat landing could be on their first mission. The Allied invasion of Normandy on D-Day was the first combat mission for many Glider Pilots. Many gliders went into the Normandy drop zones behind the German lines with supplies and reinforcements during the daylight hours of June 6, 1944 well after the beach landings and after the Germans finally realized this was the full-scale invasion they awaited. 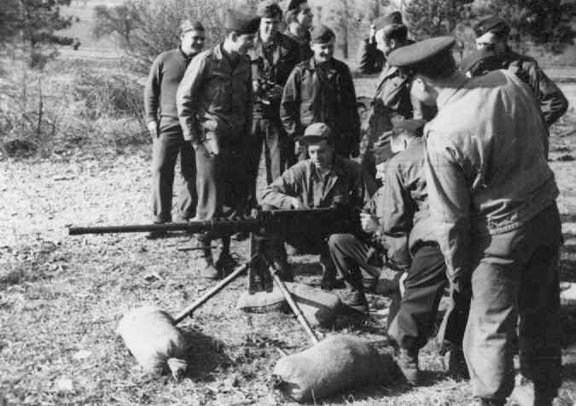 Consequently, the Germans were ready with anti-aircraft fire to shoot down as many aircraft as possible and to make glider approaches and landings truly dangerous. Early Glider Pilot training used recreational soaring gliders such as the TG-4A as trainers. 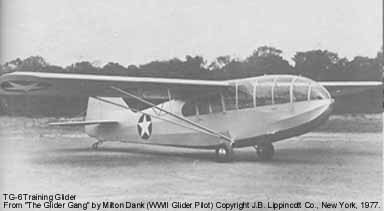 They were more agile and capable of gaining altitude more easily than the CG-4A and British Horsas the pilots would eventually fly into combat. Since they did not adequately simulate the flying characteristics of combat gliders, the Army Air Corps procured trainers that did - the TG-5A and TG-6A. Originally an Aeronica Defender powered aircraft now shown here as a TG-5A training glider with the engine removed. Before its engine was removed and it was converted into a training glider, the TG-6A was a powered Taylorcraft Tandem Trainer. Experienced pilots may recognize this as the famous Piper Cub manufactured by the Piper Aircraft Company in Lockhaven, Pennsylvania, shown here after engine removal and conversion into a trainer. Many Glider Pilots were already qualified and skilled powered aircraft pilots who had earned their CAA (Civil Aeronautic Administration) civilian pilot's license before war broke out. Some had already gone through flight training but had been disqualified, not for lack of skill, but for problems beyond their control such as slightly deficient eyesight. One Glider Pilot - already a licensed pilot - whose eyesight disqualified him from fighter pilot training said he joined the glider program because he was looking for "anything to stay in the air." This typified the strong desire these pilots had to fly their own aircraft. Part of the training program used powered single engine aircraft that were flown aloft and then the engine shut down. 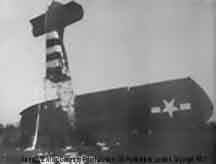 The pilots were then required to execute "dead-stick" landings. 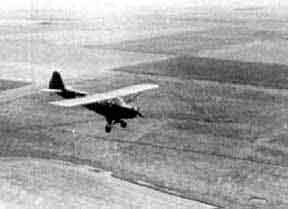 The picture below shows one of these pilots performing such a landing in an L-5 (manufactured by the Interstate Aircraft Company). "Dead-stick" flying in an L-5. What role did the Women Air Service Pilots (WASPs) play in Glider Pilot Training? "...The women also participated in glider tow training programs and flew low altitude missions dispensing smoke as ground cover..." (Women of Courage - The Story of the Women Pilots of World War II). Click on the picture to visit the "Women of Courage" website with more information on the WASPs in the Glider Program. "Fly Your Position - Let the Tow Ship takeoff"
.50 calibre training - Location unknown. Photo courtesy of Mary Martin and Troy Wynne - From Donald D. Martin's collection. Wickenburg, Arizona - Glider Basic Training -Photo courtesy of Mary Martin and Troy Wynne - From Donald D. Martin's collection. 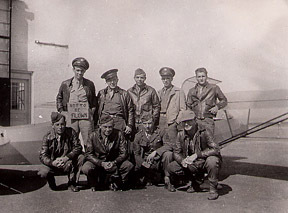 Glider Pilots next to trainer - Location unknown. 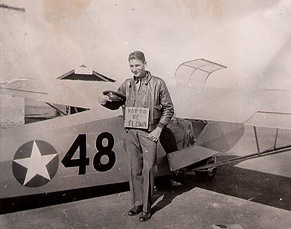 F/O George Brennan with "Not to be Flown" sign. Copyright 2000-2018 by T. J. Brennan - All rights reserved. This website has been set up solely as a memorial to the Glider Pilots of World War Two and has no commercial intent. Unless otherwise noted, material on this website may be downloaded or copied with prior permission from the website owner for educational and other non-profit purposes. Any material used from this site must appear in published form (online or otherwise) with proper attribution which must include the full URL link to this website. Use of any of the material on this website for commercial, economic or for any other similar purpose is prohibited. For permission, please contact the website owner.